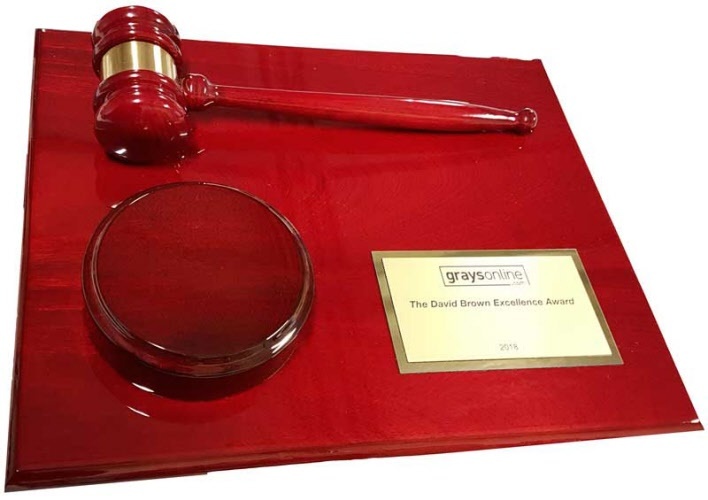 Luxurious deep gloss rosewood gavel plaque with a gold coloured engraved plate. 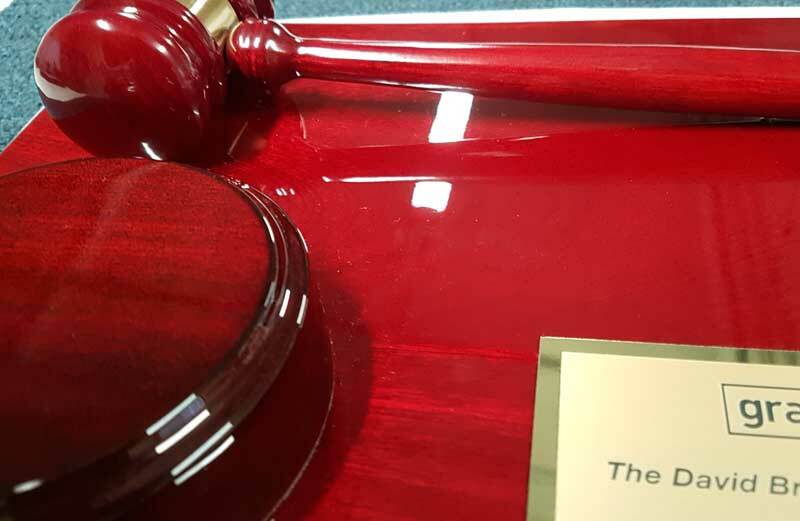 We adjust the size of the plate to suit the amount of text you need to include on the plaque. These plaques come with a double mounting system and can be either hung on a wall or displayed on a desk with the built in stand. Supplied in a black velvet gift bag. To Purchase: Please email us to purchase these plaques as we will need to get extra details from you to complete the order. Please Note: as timber is a natural product, the colour and grain may vary slightly from that shown in these photos.